In the winter, it's one of the most visited places in San Carlos de Bariloche because it's biggest attraction is skiing. How I love whizzing down the hills I visited there in winter and I definitely made the right choice. We never would have appreciated its lakes' charms, its forests, its colors, the spectactularly immense mountains that surrounded us. A joy for nature-lovers. 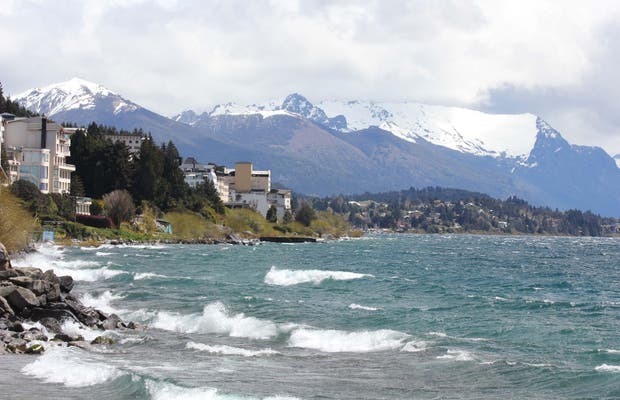 Known as a ski resort, the Bariloche also has its charm in summertime (December). The 360 degree views as you go to the top on a chairlift are incredible. But it is just as nice to walk around the lakes and see all the houses and their piers. I would like to see it snow there. El Río más corto del mundo!!! !